Every year for mother’s day, I really just hope my husband is home from work haha! If he is home, then I’m typically happy with sleeping in, breakfast in bed, church, and a fun lunch. We usually just do small gifts to one another on mother’s day and father’s day. 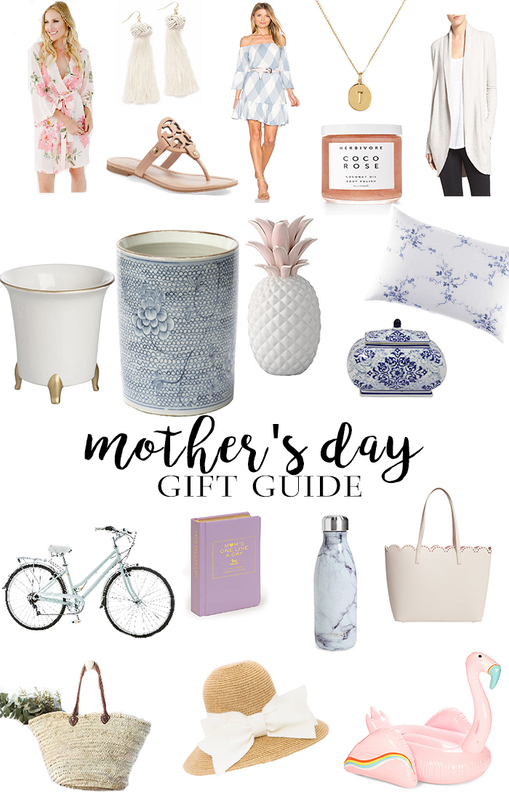 More than anything I just want a simple day with my family where my husband changes most of the diapers and I can relax 😉 I rounded up some really great finds that are perfect for you, your mom, sister, grandma, mother in law, or friend! I cannot tell you how much I love Plum Pretty Sugar robes! I’ve had mine since before I had Sully, and it’s made so beautifully. When my neighbors or family catch me in my robe, I always receive compliments on it. I have long one, so I am hoping to get this one for mother’s day this year! Mine is blue, so I definitely need to add some blush pink in my life. Coconut oil + rose, I’m sold! This body oil and exfoliant sounds so heavenly!! Did you know that pineapples symbolize southern hospitality? This pineapple would be the perfect item to place at your front door entry! Blue and white is my favorite style trend to decorate our home with. I’ve enjoyed getting blue and white vases, jars, and planters from my family. They make such beautiful heirlooms. I absolutely adore this gorgeous planter! And this white and gold planter would look so beautiful sitting next to it! I was recently gifted a little family heirloom of a blue and white ceramic trinket box that I know keep on my bed side table. It’s been really special having that and keeping sweet little treasures in there. This gorgeous ceramic box would be perfect for your bed side table! I stumbled across these blue and white floral pillows, and adore them! Thinking of scooping up both of them to put on my living room accent chairs! They are such a good price. We are lucky to live in a very active community with shops, restaurants, and parks all in walking or biking distance. I love my Schwinn bike, and this one got the best reviews on amazon! What a perfect gift for summer! Add this bike trailer on the back for added fun! These swell water bottles are so popular nowadays and I couldn’t help but to swoon over the white marble one they came out with! that alone would make me drink water more! okay, swoon!!! i need this flamingo pool float when visiting my parents house! How stinking cute is that color and the rainbow pattern?! if you have a pool, you need this 😉 Ps- my mom even has her own swan float, so this could be a great gift for your mama’s! I’m a sucker for everything marble… how pretty is this journal? I realized the other day I am on my last pages of my current journal, so hoping to scoop this up even if I have to gift it to myself 😉 Also, while walking the streets of uptown new orleans the other day I stumbled upon this book called, Mom’s One Line A Day. It is a notebook with a small space to write a few notes for every day over the next 5 years- I thought that was the sweetest idea ever. What an amazing keepsake for your children when they grow up! Here it is in a pink and blue. I have always loved seeing a southern woman in a hat! As I have gotten older I feel like wearing them myself. 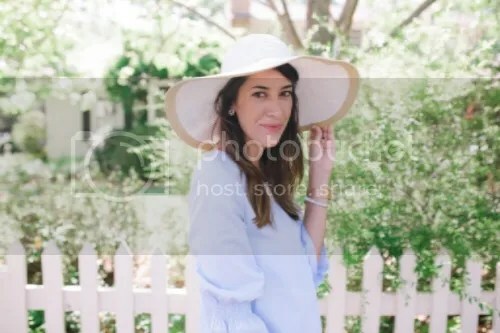 I just pre ordered this sun hat with the white bow and cannot wait for it to arrive! I’ve done a lot of research this spring and found some good market bag and tote options that are perfect for lugging kids accessories, saturday morning market finds, and really anything under the sun you can fit in it 😉 I love this simple one that can be thrown over your shoulder. It has that french country feel to it that I love! I wrote on my instagram a week back saying that I finally bought myself this new tote bag after not updating my bag in 2 yrs, hah! So far, I am obsessed with this sweet scallop bag! It’s perfect and fits all my kids stuff in it along with my things. It has metal studs on the bottom, so it won’t touch the ground. That was a nice bonus! can’t take my EYES off that pineapple!!! proooobably getting. happy mother’s day to me!